Parents at Millbridge School are concerned for road safety around the premises. Parents concerned for the wellbeing of their children are campaigning for improved road safety measures outside a Liversedge junior school. They say a number of near-misses have been reported outside Millbridge Junior Infant & Nursery School in recent weeks, all after six-year-old Ella Harper was injured when she was hit by a car earlier this year. A pelican crossing is currently in place outside the school, but parents say that’s not enough, and have pulled together to ask for improvements to conditions outside the Vernon Road school at its busiest times. Kirsty Shaw, Ella’s mum, said that something has to be done to ensure no parent is put in the position she found herself in: “It was just awful, the sort of thing you just never want to have to see as a parent. Michelle Sykes, whose son George also attends the school, took to social media to gather support for the campaign and received what she described as ‘a welcome response’. “We’ve had close calls with accidents last week, including one on Monday when another parent was nearly hit. People just do not slow down at that crossing. “Whether it’s because they don’t see it, I don’t know. But something needs to be done. A number of reports have been lodged to Kirklees Council around the safety of roads around the area. 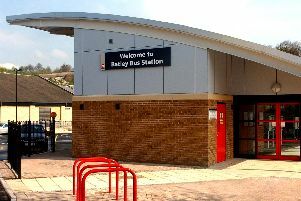 A spokesperson for Millbridge School confirmed that and safety measures are under the jurisdiction of Kirklees Council and that whilst the school used to have a lollipop worker on the crossing, they had not worked there for some years. This week there have been reports of issues of this kind across Kirklees, with primary schools in Dewsbury and Batley experiencing similar issues. “We haven’t been made aware of any specific concerns about road safety adjacent to Millbridge School in Liversedge, but are happy to work with the school and, their parents, to address any concerns, and discuss any suggestions, that they may have, to help them improve the environment for their children”.